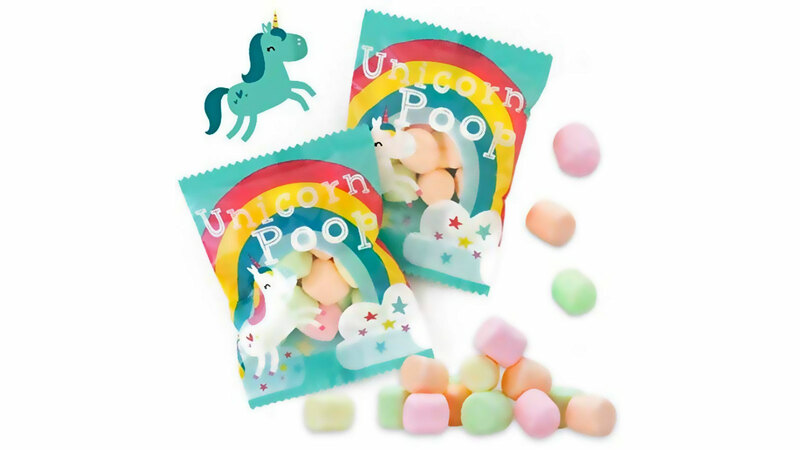 Unicorn poop [Amazon] appears to be pastel-colored gourmet marshmallow chunks flavored with strawberry, lime, lemon and orange, guaranteed to be gluten- and nut-free. But don't let that put you off: I'm sure they're delicious. Other brands? Just how many brands of unicorn poop can the market support? These Rainbow Unicorn Foil Balloons are 32 inches long, ship uninflated as pairs, and we are promised that the “pretty design is on both sides”. Finally.